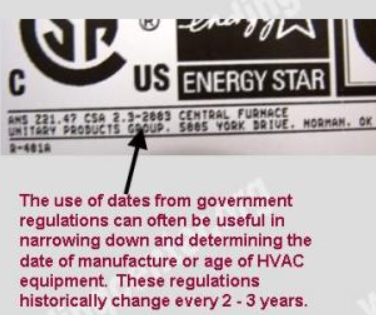 How to determine the date of production/manufacture or age of Roberts Gordon, LLC HVAC Systems. 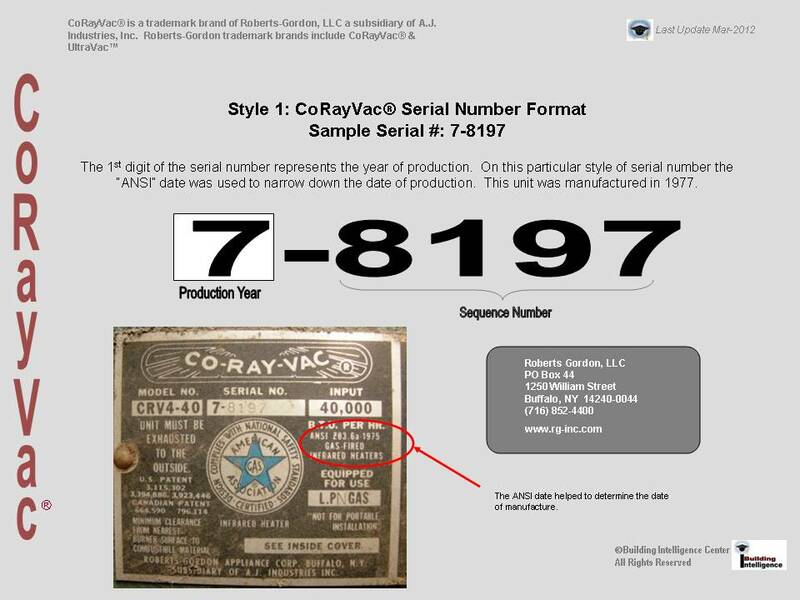 The date of production/manufacture or age of Roberts Gordon, LLC HVAC equipment can be determined from the serial number located on the data plate. Description: Six (6) character Serial number (including the “dash”). – 1 numerical digit followed by a dash and 4 numeric digits.